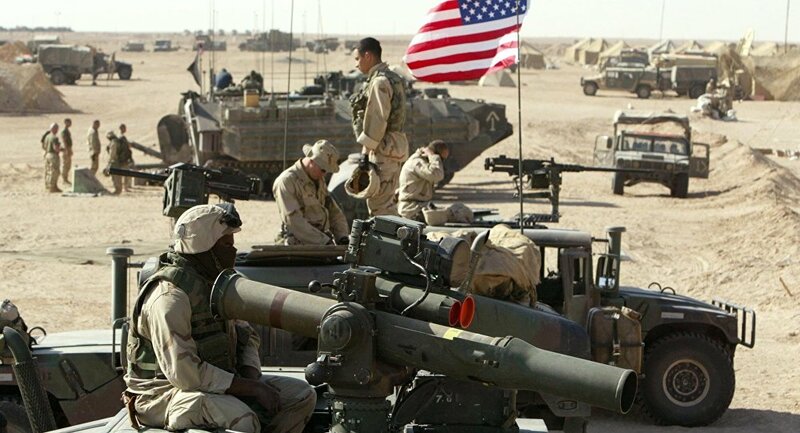 BAGHDAD (Sputnik) - A bill calling for withdrawal of US troops from Iraq may become one of the first to be debated by the national parliament after the recess, a member of the Fatah Alliance, the second-largest political force in the legislature, told Sputnik. On Sunday, US President Donald Trump told CBS News in an interview that the United States was keeping its troops in Iraq in order to be able to "watch Iran." Following the statement, Iraqi Parliament First Deputy Speaker Hassan Kaabi said that the legislature intended to work out a bill on termination of the security agreement with the United States, which will lead to withdrawal of all foreign troops from the country. Iraqi President Barham Salih also noted that Washington did not request permission from Baghdad to deploy US troops to the country in order to "watch" Tehran. "After Trump's inappropriate and irresponsible statements, the bill on the withdrawal of foreign troops from Iraq, including those of the United States, will be one of the priorities during the upcoming session. I believe it will be one of the first to be put to the vote," Ahmed Asadi said. Asadi recalled that the country’s constitution banned the use of the country as a springboard for an attack on another state. "If the parliament feels that some wrong decisions are being made [by the government], we will certainly oppose these decisions, not with a view to weakening the government, but with a view to returning its work to the right path," he added. The newly-elected Iraqi parliament broke for recess in late December, the second session is expected to open in late February.